This generation of little girls has the stuff of fairy tales at its fingertips. Brands like Melbourne’s Little Gems are leading the charge, whipping up frothy pink and purple confections, crowns of silky flowers and glittering fairy wings. For little worshippers of all things princess, heaven on earth is here. 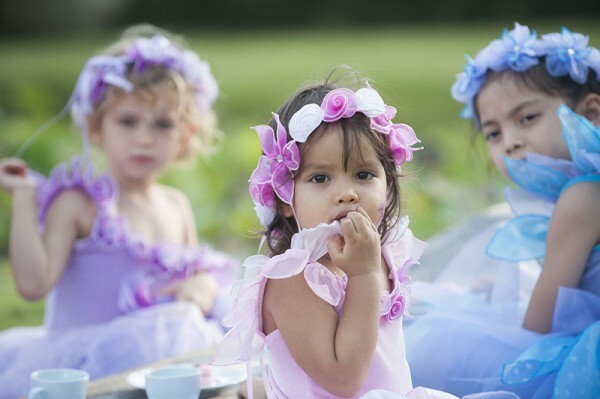 In the spirit of imaginary play, each Little Gems dress tells a story that’s a bit unexpected. For games of magical mischief on the high seas, there’s the Fairy Pirate Dress ($108) with voluminous sleeves and a skirt of layered tulle petals the colour of a stormy ocean. For land lubbers, the Jungeralla Dress ($120) is at once pretty and wild with its skirt a tangle of leaf-like tulle panels. Our favourite is the Allana Mermaid Dress ($103) that’s covered in iridescent fabric layers like fish scales and that tapers into a dainty tail. 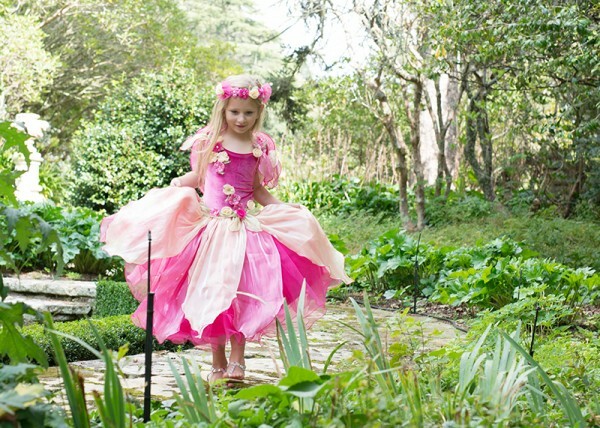 Little Gems also creates princess dresses of the usual variety – pink and purple and incredibly fluffy, but the craftsmanship and little details like appliqued flowers and pretty trims are what make each dress special. No fairy princess is complete without her wand and tiara. Little Gems creates a selection of accessories that could even be worn with regular clothes to create a kind of royal street wear look. The only thing that’s missing is a frog prince. Little Gems is available online and shipping is free within Australia for orders over $100.